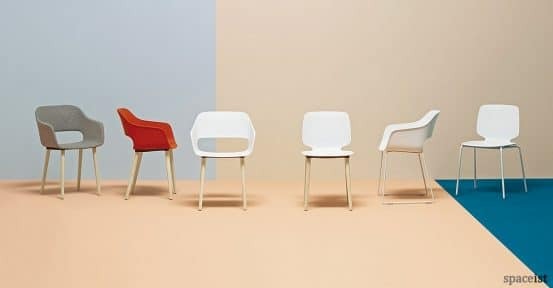 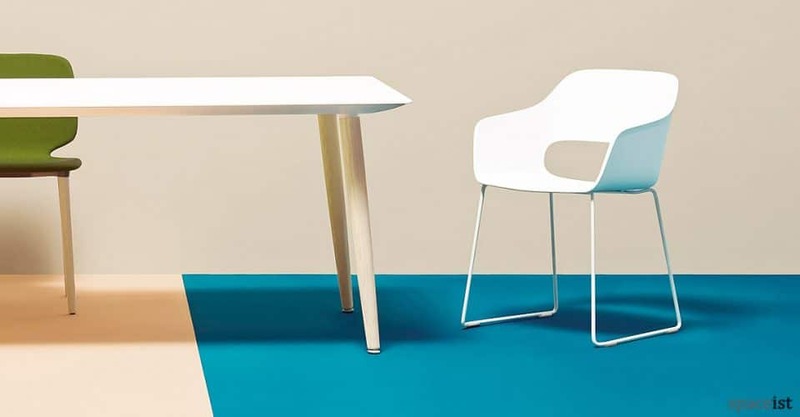 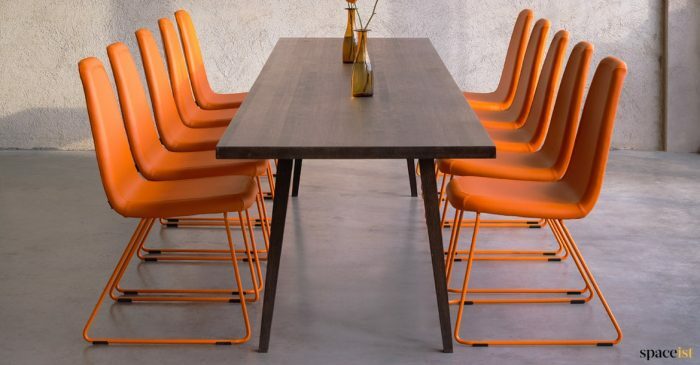 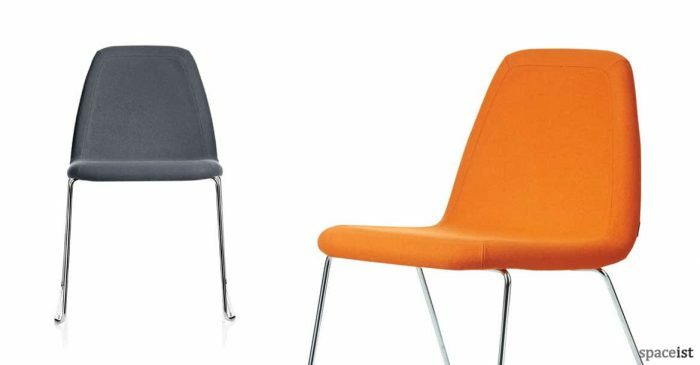 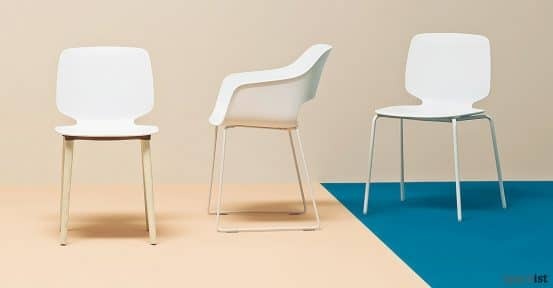 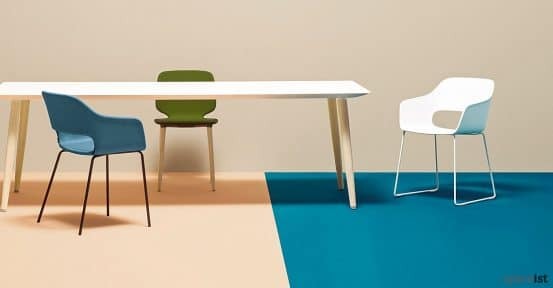 With its innovative design and modest form, the Babila chair range now includes an armchair configuration to its already versatile selection of chair options. 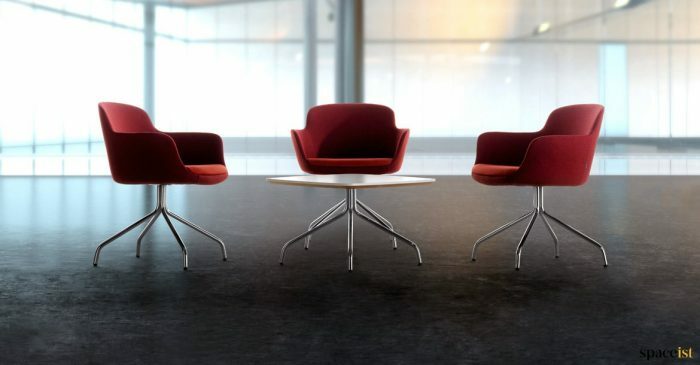 The distinctive curved polypropylene seat has been designed with integrated arm rests for an enhanced user experience. 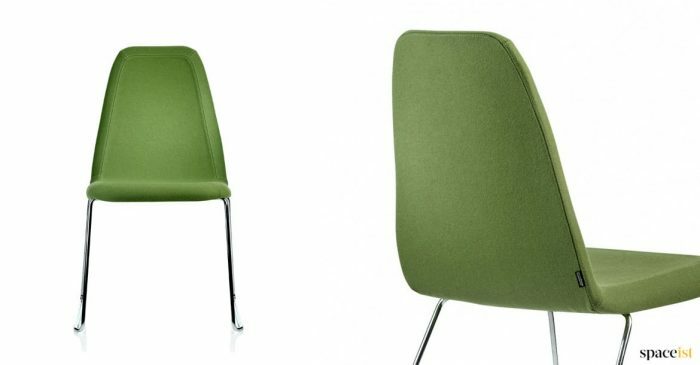 It comes with a choice of ten seat colours that includes moss green and beige. 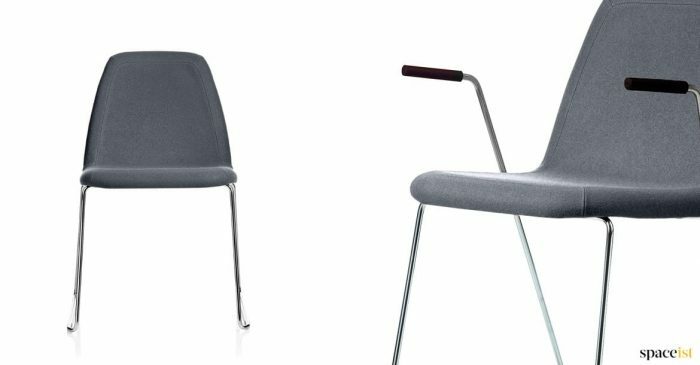 An optional fabric seat is also available. 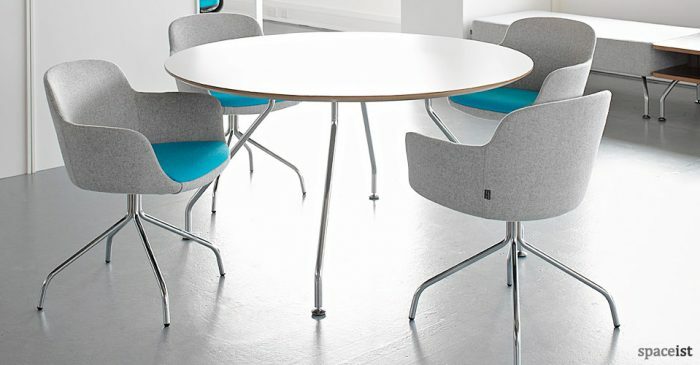 The Babila armchair comes with the option of a sled base in powder coated steel for application in meeting and conference room settings.